Did tax rise help CA, tax cuts hurt KS? Editor’s note: See correction at the bottom. 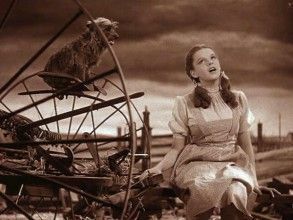 Toto, I have a feeling we’re not in Kansas anymore. 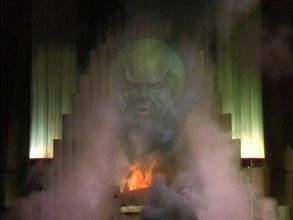 We’re in California, where the winter weather is in the 70s and the high taxes are imposed by the Great and Powerful Oz. Writing in Al Jazerra, David Cay Johnston said Kansas’ tax cuts hurt it, while California was helped by its $7 billion in tax increases, which voters approved with Proposition 30 in 2012. 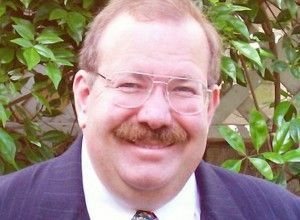 He is an investigative reporter, Pulitzer Prize winner and professor of business, tax and property law of the ancient world at the Syracuse University College of Law. “Ever since economist Arthur Laffer drew his namesake curve on a napkin for two officials in President Richard Nixon’s administration four decades ago, we have been told that cutting tax rates spurs jobs and higher pay, while hiking taxes does the opposite. “Now, thanks to recent tax cuts in Kansas and tax hikes in California, we have real-world tests of this idea. So far, the results do not support Laffer’s insistence that lower tax rates always result in more and better-paying jobs. 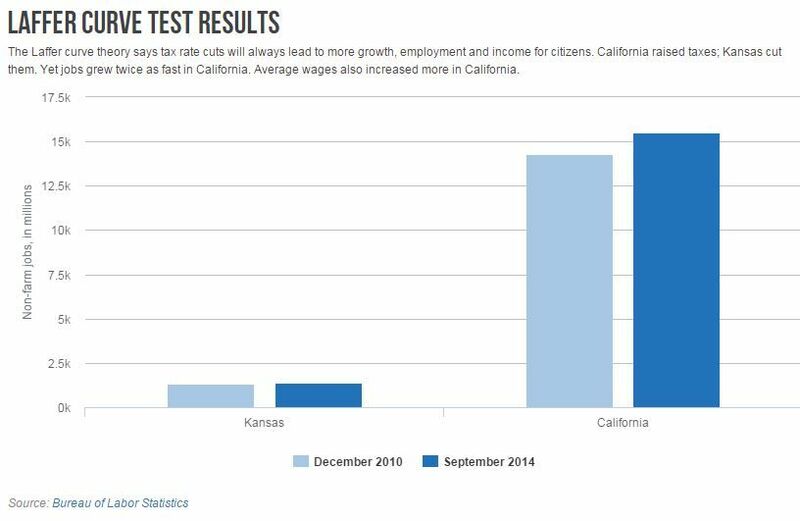 In fact, Kansas’ tax cuts produced much slower job and wage growth than in California. Let’s just deal with that. “California taxes have dropped $6 billion in the last two years. That’s because Gov. Arnold Schwarzenegger’s record, $13 billion tax increase of 2009 expired and was replaced in 2012 by Gov. Jerry Brown’s $7 billion tax increase of Proposition 30. Now, guess what? The entire general-fund budget in 2013 for Kansas was $6.2 billion — roughly equal to the California tax cut. So anything good Johnston says about tax policy in California has to be assigned to the tax cut here, not to an increase that didn’t happen. That’s highly encouraging to California businesses, which can look to an infusion of investments — Prop. 30 mainly is a tax on the wealthy — in a couple of years when the money is shifted back from the wasteful government sector to the productive private sector. Much more than government, businesses are forward looking. If that happens, and Prop. 30 expires, taxes will have dropped $13 billion under Brown, the biggest tax cut of any state in history. And if in 2016, Brown makes a fourth bid for president, all that will make for a compelling part of his “California is back [because of me]” narrative. Indeed, the Kansas governor’s own victory could put him in contention for the GOP nomination. How about a 2016 contest of Brown vs. Brownback? By the way, it was Laffer who designed Brown’s supply-side, flat-tax proposal, a 13 percent income tax on everyone, during the governor’s 1992 presidential bid. So Brown, hardly the “right wing” partisan Johnston thinks goes for cutting tax rates, is well aware of supply-side economics. Laffer also helped design California’s Proposition 13 tax cuts in 1978; and Ronald Reagan’s tax cuts that propelled more than two decades of strong American growth, until the unfortunate Bush-Obama policies of recent years. Laffer currently heads the Laffer Center for Supply Side Economics at the Pacific Research Institute, CalWatchDog.com’s parent think tank. I recently reviewed, “The Pillars of Reaganomics: A Generation of Wisdom from Arthur Laffer and the Supply-Side Revolutionaries,” edited by Brian Domitrovic. 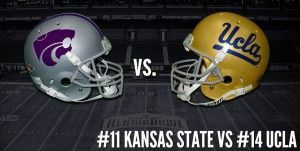 This is where the Sunflower State vs. Golden State rivalry comes in, an economic version of the Kansas State Wildcats vs. the UCLA Bruins at the Valero Alamo Bowl on Jan. 2. “After he addressed his supporters, Brownback told The Star he looked forward to the next four years. “The win, experts said, clears the way for Brownback to pursue those goals and more, such as further income tax cuts, more reductions in state spending, expansion of school choice and limits to state regulations on business. He might even get more aggressive on social issues. Brownback also plans on reducing Kansas’ deficits by cutting waste, which as everywhere in government is larded as thick as on a holiday hog. And with Brownback and his tax cuts now firmly entrenched, Kansas businesses can plan their prosperous futures. 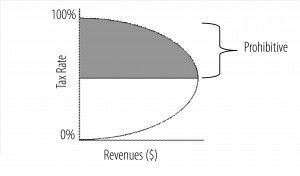 I suspect, just as Laffer’s theory predicts, the prosperity will increase the tax base, thus providing higher taxes which also will close the deficit. 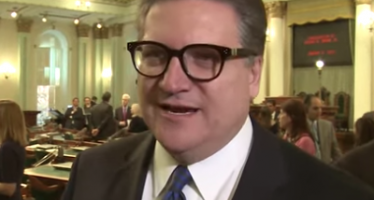 “The same month the Kansas tax rate cuts began, tax rates rose in California,” Johnston wrote. But as we have seen, looked at in a slightly larger perspective, California’s taxes dropped $6 billion — which helped that other tax-cutting governor, Jerry Brown, also win re-election. He also could have cited how California’s bond rating was upgraded right after voters just passed Proposition 2, the “rainy day fund” initiative. Except that, as of October this year, Kansas’ unemployment rate was just 4.4 percent, 10th best of all the states and D.C.; compared to 7.3 percent in California, 47th best (4th worst). So Kansas is close to “full employment.” Those without jobs basically are between jobs. Or looking for Dorothy. Employment can’t go up faster because everybody already has jobs. It’s like when your teenage son stops growing at 18, you don’t complain that he doesn’t keep rising to 10-feet tall. So for working stiffs in Kansas, the Laffer-Brownback tax cuts worked! Except that, for the second year in a row, according to the U.S. Census Bureau, California suffers the nation’s highest poverty rate when the cost of living in this incredibly expensive state is taken into account. Part of the reason is that California’s high taxes, with the shocking 9.3 percent income tax rate digging in at about $55,000 of earned income, also gouge the middle class. A shocking 8.9 million of our 38 million residents languish in poverty, or 23.4. That 8.9 million is three times Kansas entire population of 2.9 million. By contrast, just 11.8 percent of Kansans are in poverty, less than half California’s percentage. Taxes go somewhere. The biggest item in both states’ budgets is education. 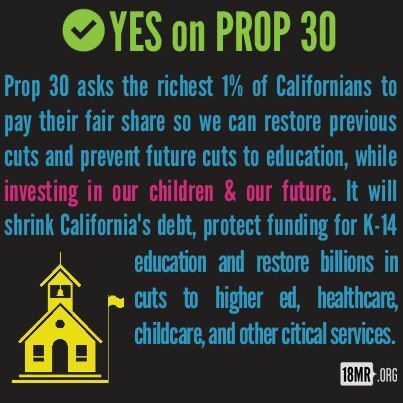 In California, we even have an initiative, Proposition 98, which mandates about 40 percent of general-fund taxes go to public schools. And the Prop. 30 tax increase largely was justified as benefiting K-12 school kids. According to the National Assessment of Educational Progress, “In 2013, the average score of fourth-grade students in Kansas was 223. This was higher than the average score of 221 for public school students in the nation.” But just barely higher. It was middling, causing Brownback to seek further reforms. NAEP found for California, “In 2013, the average score of fourth-grade students in California was 213.” That was 8 points below the national average of 221; and it was 10 points below Kansas’ 223 average. So, for all California spends on education, and all the high taxes Johnston says benefit us, our kids’ score worse than in low-tax Kansas. “California students performed about the same in reading and math on this year’s National Assessment of Educational Progress as they did in 2011, ranking among the 10 lowest performing states in the country. Once again — strike up the band — taxes have gotten lower in California. But as to the Prop. 30 income taxes only on “high incomes,” when “the rich” pay more in taxes, all of us suffer, too. Because it’s largely the rich who use their money to invest in creating new businesses and jobs, as well as fund numerous charities. Faith-based Voodoo Economic theory strikes again. SDog: Thank you for siding with me against Johnston. The link is broken, John. John, thank you for citing a credible media source, Al Jazerra. It’s sad that Americans have to make a daily visit to Al Jazerra, Pravda and RT to find out what’s really going on in our own country. If I depended upon the US media to provide full-disclosure on the state of our nation and our involvement internationally I’d be living in the dark ages. The kleptocrats know that higher taxes are needed to support our growing impoverished population, already at record levels and #1 in the nation. No state or nation ever got rich off financing poverty. The social services required to support a massive impoverished population is enormous. Plus, it has a very detrimental effect on the quality of public education K-12 – which has been OBVIOUS in the last 15 years to anyone who is not willfully blind. Kansas is not bogged down in massive accumulations of poverty. So they will outperform us hands-down….taxes or no taxes. But if you think the expiration of Prop 30 is the end of high taxation in California you’re only dreaming. This clownshow will continue to reach deep into your pockets to sustain the huge underclass and all the unintended consequences that go along with high rates of poverty. Mark my words. Excellent responses but more important, why is it that klepocrats hate facts that contain substance? Furthermore, for years so many blue states are typically the worse run because of one simple fact based issue: seriously deficient competency as they rule from ‘feel good freebie” vote getting lies, hence destruction. I believe another appropriate term would be “Community Organizing”. John: Excellent rebuttal to the nonsense Johnson spouts forth. But really one need look no further than a simple blue state -red state comparison. The states with the largest budget deficits, underfunded pensions, under performing schools, highest taxes and tax rates and worst unemployment rates are all blue states like California, Illinois, New York ,New Jersey, etc. The states with the best performing economies, with fewer of the problems listed above are all red states like Texas, Kansas, Florida, Utah, Nevada,etc. That’s the beauty of our republic form of government if it were allowed to perform as the founders intended. Left to pursue their own solutions without the meddling of the ever growing federal (or should I say feral government ?) they can become mini-laboratories on what works and what doesn’t. Too bad the statist, big government types cannot learn this lesson. They simply refuse to see what is in plain view before their very eyes. In today’s news, Kansas is reporting a $280 million deficit in its current year budget, directly attributable to the Brownbeck plan. SDog: Good reason for KS to cut $280 million in waste. Except even Brownbeck doesn’t claim the current budget is full of waste. The deficit is a result of that “dynamic scoring” you’re so infatuated with. Turns out that your guys far overshot the mark and must now deal with the consequences of faith based budgeting. Aren’t you the folks who are always claiming the government should pay its bills and live within its means? That also means funding things like your existing pension system, not ignoring the payment to cover the bad policy choice you made by cutting taxes so far you can no longer pay your bills. The real facts are that everyone that belongs to any RAGWUS bureaucracy is over paid, over benefitted and under worked. And using the word work to define most RAGWUS job is figmental at best. You didn’t seem to bother explaining why the revenues didn’t magically go up in Kansas considering supply-side economics is never ever wrong and tax cuts always increase revenue. Bobber: Taxes were up in Kansas, just not as much as expected, and not enough to prevent deficits. Solution: Cut even more waste, fraud and abuse in government.